Please click here to view news and information for the months of March and April. 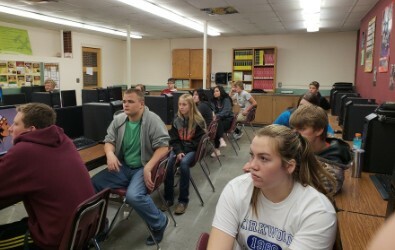 The Business Management class did an advertising project where groups of 2 or 3 had to produce two promotional ideas which included designing a billboard, a news release for the newspaper, a 30 second radio advertisement or a 60 second television commercial. They also had to write a one page description of the company and their advertising idea. 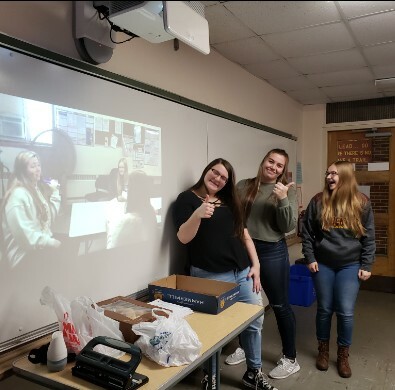 On the right is a picture of Kenna, Alyssa, and Jamie presenting their product and their television commercial for their product. The students really enjoyed this project! 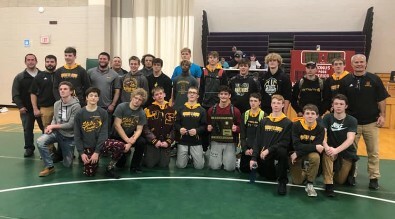 Congratulations to the Le-win Stockton Pantherhawks on their 3rd straight Regional Championship! 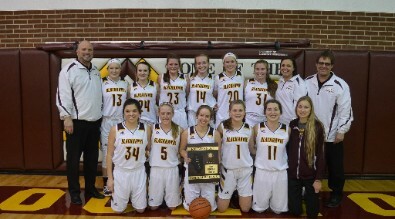 Congratulations to our Lady Blackhawks basketball team on winning the Regional Championship! 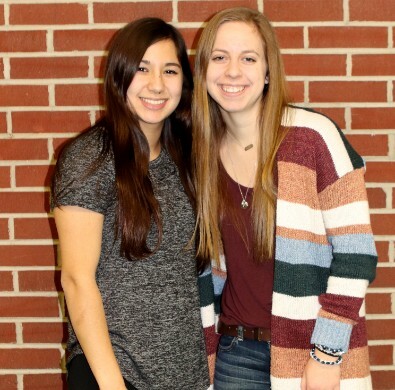 We would like to congratulate our Illinois State Scholars for the Class of 2019: Ellen Fox & Jennifer Hatfield! State Scholar selection is based on class rank and SAT or ACT scores through Junior year. 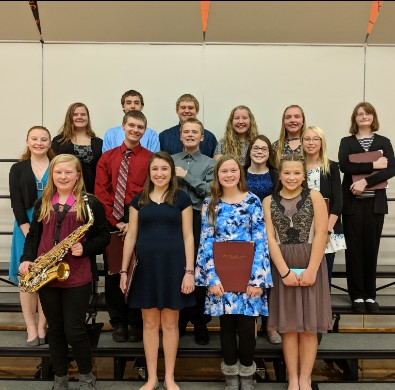 These students auditioned and were selected to perform in the District ILMEA on November 17, 2018. 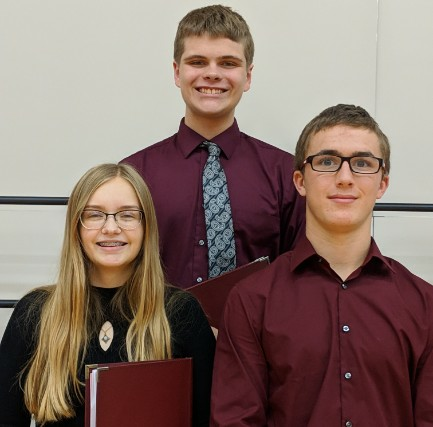 Congratulations on your successful selection and wonderful concert! 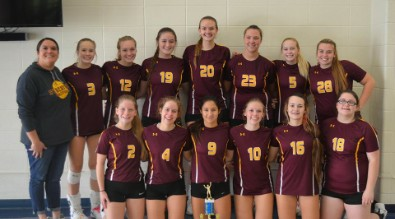 Front Row: Kylah Kurek, Maria Bender, Madalyn Marcure, Rebecca Dreyer. 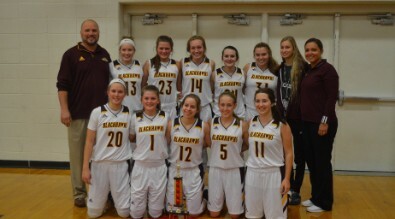 The girls basketball team kicked off their season by taking 2nd place at the Forreston Thanksgiving tournament. 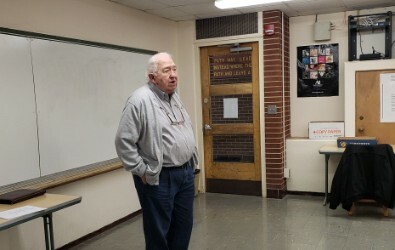 The Business Management class had a guest speaker this week by the name of John Cooke, who was a former McDonald’s vice-president and ombudsman. John was hired on by Ray Crok the founder of McDonald’s in 1967. He worked directly for Ray for 2 years and continued to work for McDonald’s for 30 years in Chicago before retiring and moving to Galena. He shared with the class his experience working for Ray Crok and the vision that he had when starting all of the McDonald’s franchises. John built the first corporate office building in Oakbrook IL. He explained to the class how the franchising works and the rules that need to be followed. When the licensee’s had a problem John was the one that they contacted. The class really enjoyed John coming in and talking with them about his experience working directly for the founder of McDonald’s. We have been discussing in class different topics such as entrepreneurship and financing your business so it was nice to have John come in and share his story! 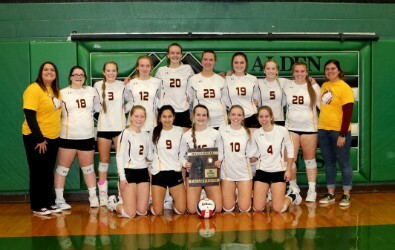 The Lady Blackhawks won the regional championship at Alden Hebron High School on October 25th. 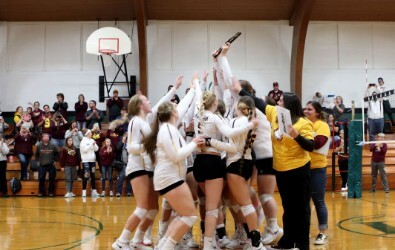 The volleyball team will play in the sectional game on Monday, October 29th vs. Newman at 5:30 pm in Polo. 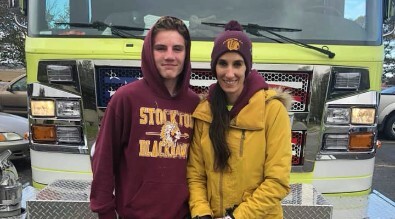 Freshman Cross Country runner, Connor Vincent received 4th place at the regionals in Winnebago on Saturday, October 20th. He will compete in the sectionals in Oregon on Saturday, October 27th at 11:00 am. 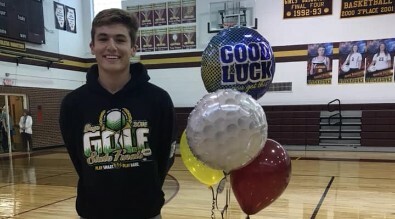 Congratulations and good luck, Connor! 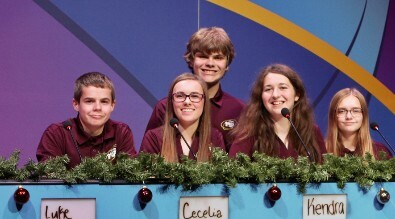 The Quiz Bowl team competed against Warren at the Nordlof Center in Rockford on Saturday, October 20th. This episode will air on December 29th and 30th on WTVO and FOX 39. Be sure to watch and see how the team did! 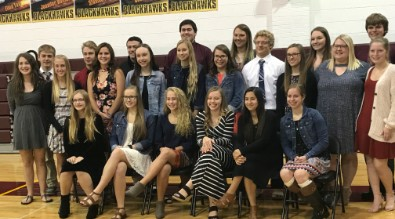 On October 17th, new members were inducted into the National Honor Society. We now have 23 members in our NHS here at SHS. Congratulations to all! Congratulations to Alex Staver on advancing to the Golf State Finals on October 12th and 13th. It is Alex's third trip down to state. UPDATE: Alex placed 21st. We are very proud of him! Congrats on an outstanding 4 years! Congratulations to the Lady Blackhawks for taking 3rd place at the Linda Ludwig Tournament held at Eastland High School.